I will confess that I am a die hard Apple device fan. In my school, they’ve been using MacBooks for quite a number of years, which is how I got converted. About five years ago we started a BYOD (Bring Your Own Device) program, and what came in was a whole lot of iPads. At this time we had additionally started a 1-1 iPad program in part of the upper school. But as we move forward and I have some very old aging white MacBooks along with a set of iPads to be borrowed by students who do not have their own device or haven’t forgot their’s, I have considered yet again is the iPad the right device for our learners. I work at a school for students with language-based learning disabilities (dyslexia, ADHD, and executive function issues). The device we choose is not about the form factor and costs, but about how can it help support and enhance learning for our students, while creating the ability for them to be independent learners moving ahead. So I consider every year if we choosing the right device and what am I going to replace the aging MacBooks with, more iPads or Chromebooks, I decided I had to do a little bit more hands-on research. I have been a user of an iPad mini for quite a while, but with an aging MacBook air and an aging mini, I took the leap this June to try out an iPad Pro as my one and only device. That was for my own professional and personal usage, but it inadvertently gave me an opportunity to try to tell the tale of two devices. Earlier in the year my head of school and I both got touchscreen Chromebooks to assess, but now this summer I am really testing the limits of using only my iPad and using only my Chromebook to see what best suits the learning environment as I work. Being a Google apps for education school it is always a balance for device form factor and there are definite times where the apps on the iPad do not have the capabilities available that you find in a typical browser that like I used on the MacBook Air and I now find I have to do on my Chromebook. This came up when I was trying to do reports for summer school students, but on a typical day I don’t know that this would be an issue. These reports require a lot of formatting with tables and manipulation of headers and footers, but that is not something I think a typical student is doing. Then recently a teacher asked me how to add video into Google Slides and I found this could only be done in a browser and on a Chromebook, not in the Slides app on the iPad. However, that could have been remedied by using Keynote on an iPad, although not with the simplistic ease that it can be done within Slides. Having students create presentations is definitely a key factor to think about; however, there are a lot of other tools that can be used, so it is not a deal breaker. I do admit I love having ability to type on the screen and have a keyboard for longer documents. This was pretty easily remedied with a solid keyboard case for my iPad and I feel like with both devices I have the capability to use it just a screen for typing and multi sensory interaction, as well as having a traditional setup of the keyboard with a screen. I have found less need for the touch screen on the chrome book than I do for the iPad. This is mainly due to the fact that the chrome book does not utilize apps that really engage with the touch capability. I know Google was bringing the Google Play Store to the Chromebook, but I have not had a chance to see that in action yet. Well, many of the tools we have come to use in the classroom are web and app based so accessible on any device, there are apps that we use consistently that exist only on the iPad. One such app is Inspiration, which has been around for a long time, but I love the iPad app for multisensory creation and this is where the iPad excels because I can export an Inspiration outline directly into Pages so students can directly manipulate their outline into sentences and paragraphs. I definitely have a list of tools used in various parts of the academic day that can only be done on an iPad and there are some that can be done in a browser but have a better user experience on the iPad. So it’s really kind of a 50-50 shot there as to what device would make sense, but then I come to a girl I’m working with this summer who is very dyslexic, as well as having other learning differences that make the device I think it best the real deal breaker. 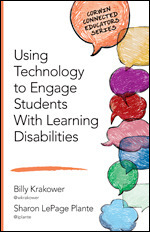 Many of our students really need their device for accessibility. Their learning differences are such that they need to be able to access content in an auditory way and produce content in a verbal way, so that idea of text to speech and speech to text. This is where it always hits home the device I would choose, the iPad. The built in accessibility features in an iPad cannot be beat by any other device. There is nothing else to buy it with, nothing to be layered into a browser, like has to happen on a Chromebook, thus meaning it is accessible in any app, in the browser, anywhere on the iPad. I do love voice typing in Google Docs but that is not available in other places such as creating an email or in tools like Google Slides. You can purchase Read and Write for Chrome by TextHelp, a tool I highly respect and value for its text to speech and speech to text capabilities, but that is an additional annual subscriptionription cost of owning a device for a student. For students who are familiar with iPads, the idea of using Siri for dictation is not complicated to teach them for usage as a speech to text tool, they just have to know that they can use it to dictate their writing, not just asked Siri what the weather is or “what did the fox say”. The learning curve is smaller. Also the built in text to speech options are available everywhere on the device. The idea that a student could have a book in iBooks and use the speak screen feature just to have it read to them continuously is awesome. They can also have webpages simply read to them or parts of things read to them, all built into the device, not an additional cost. Kids familiar with iPad are used to be touching the screen to activate many things so just using it to activate speak feature is a pretty simple instruction once the features are turned on in Settings. Also, options such as turning on the typing feedback is impactful so students can hear exactly what they are typing and noticed that if their spelling error produced an incorrect word. This empowers them to be independent in the creation process. Another key to the iPad is the interaction of various apps and the workflow that can happen, the idea of app smashing. It was the idea that the user could use various apps together to show what they know and new and different ways. Reading teachers experiences with tools like Seesaw and ClassDojo to harness student work to share with parents, it seems it is an easier process on an iPad then in a Chromebook due to the app flow nature. For students with learning disabilities being able to do this in ways that might be beyond the traditional paper pencil tasks or with a lot of laborious steps can be life-changing. The promise of what iOS 11 is going to bring to engage the idea of the slide over and split screen actions, really has me thinking what I am going to be able to show my students new and different ways the iPad can be the device that levels the playing field for learning for them. What would even make it better is if the Apple Pencil was available on any iPad so we could additionally engage that amazing tool in the effort to help these kids realize they are capable learners ones provided the right tools, but that will just remain a hope for now. A final factor as to why I like the iPad is that it is almost exactly like the iPhone. Many of my students have iPhones and carry them with them everywhere. So if they know how to leverage an iPad for accessibility, they know how to leverage their iPhone out in the real world such as in a restaurant, in a grocery store, wherever they need to access information or share information. So not only are we are empowering them for their classroom learning, we are teaching them skills that they can use in real life. So I will spend some more time with my two devices, but when it comes to kids who have learning differences I continue to think the iPad is the school and life device that will make a difference for them. I would love to hear your thoughts on these two devices for students. My son with Dyslexia prefers the iPad to the chromebook. He has the 10.5 and finds the Apple Pencil really helpful. His pencil grip caused hand cramps and effected the quantity and quality of writing. Typing helps with this but at times writing is needed and he seem less key flips between typing and writing using the iPad pencil with ease and zero pain in his his hand because the pencil is so precise no pressure is required. This has been the game changer for him this year. Teachers send math tests and writing exams to his device through classroom/ drive and he can instantly access them. Or he can use a scanning app such as DocScan to scan worksheets, documents or notes and turn them into docs or PDFs again allowing him to type or write o them. He loves these options in addition to built in text to speech and dictation options. These truly make the iPad the only device he needs. My son with Dyslexia prefers the iPad to the chromebook. He has the 10.5 and finds the Apple Pencil really helpful. His pencil grip caused hand cramps and affected the quantity and quality of writing as naturally the pain diverted his attention. Typing helps eaae this of course but at times writing with a pencil is needed and he has zero pain using the Apple Pencil. He easily flips between typing and writing using the iPad pencil again with ease/ speed and zero pain in his his hand because the pencil is so precise and no pressure is required. This has been the game changer for him this year. Teachers send math tests and writing exams to his device through classroom/ drive and he can instantly access them. Or he can use a scanning app such as DocScan to scan worksheets, documents or notes and turn them into docs or PDFs again allowing him to type or write o them. He loves these options in addition to built in text to speech and dictation options. These truly make the iPad the only device he needs.